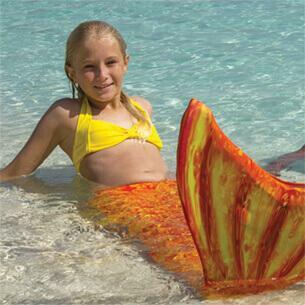 You love lounging by the water and gliding under the waves in your swimmable mermaid tail. But sometimes even mermaids need to get around on dry land. How do you stay true to your inner mer-self at school, the mall, or anywhere else away from the sea? 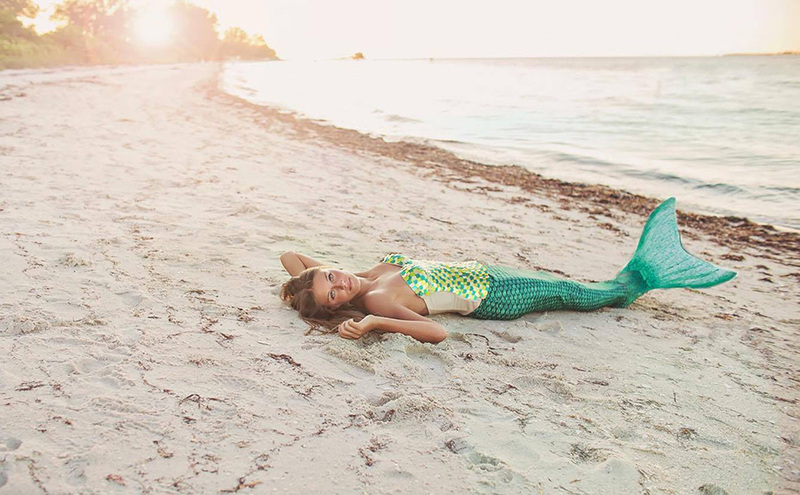 Take a cue from celebrities like Gwen Stefani, Kim Kardashian, and Dakota Fanning who understand that the mermaid life does not stop at the water’s edge. 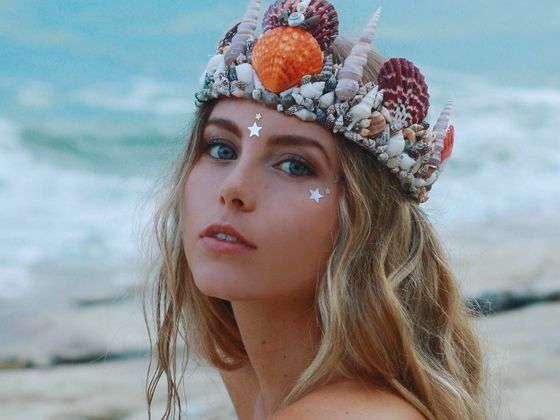 These gorgeous gals rock mermaid fashions wherever they go, and you can, too! 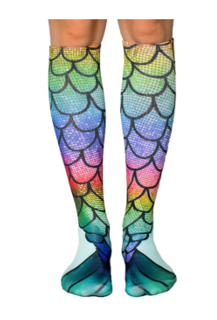 When the dress code makes you leave your mermaid tail at home, show off your scales in a pair of ultra-comfy mermaid leggings from Fin Fun. Tidal leggings come in tranquil shades of blue that will remind you of the ocean’s tide, while the Malibu leggings in shades of pink and purple look just like a gorgeous California sunset! Designed to fit you swimmingly, these premium leggings come in 10 fabulous styles that easily match your favorite top and Fin Fun’s graphic tees. Though you might not wear it every day, make-up can be a fun way to express your inner mermaid. Eyeshadow in watery shades of aqua blue, purple, sea green and iridescent pearl flatter almost any skin tone and show off your mermaid-ness in a subtle way. 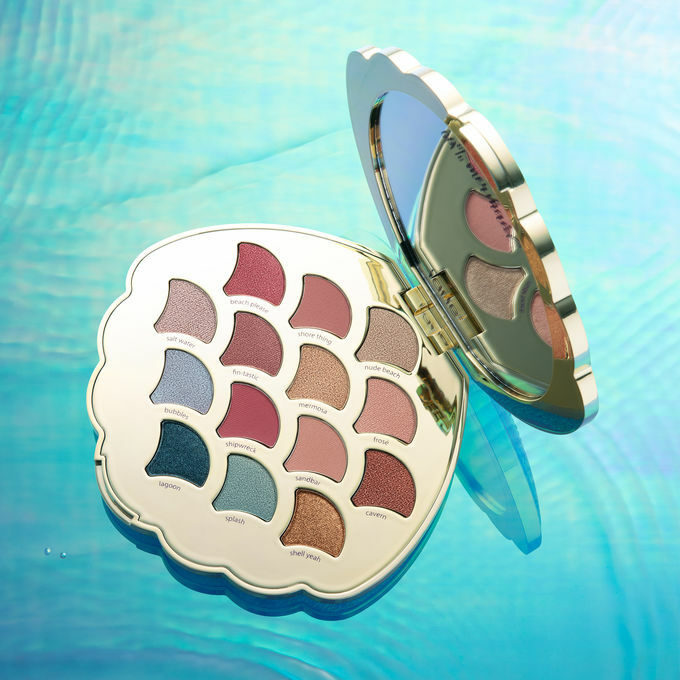 We’re flipping for this new mermaid compact from tarte cosmetics. Or, go a step further with an awesome scale effect that takes the glamour up a notch. 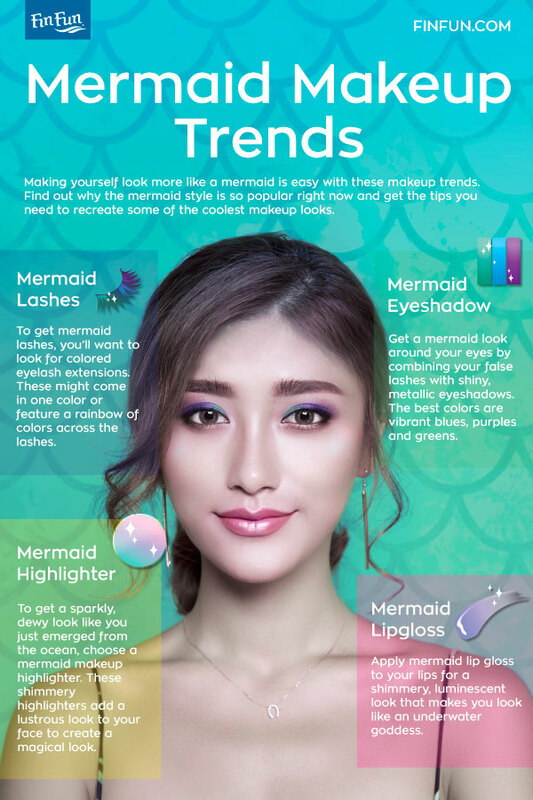 Whether it’s for a special occasion or just for fun, mermaid make-up is a fanciful fashion trend. Ready to try your hand at recreating the mermaid look? See our handy guide below for further inspiration. Mermaid fashions are perfect for pairing up with a friend. 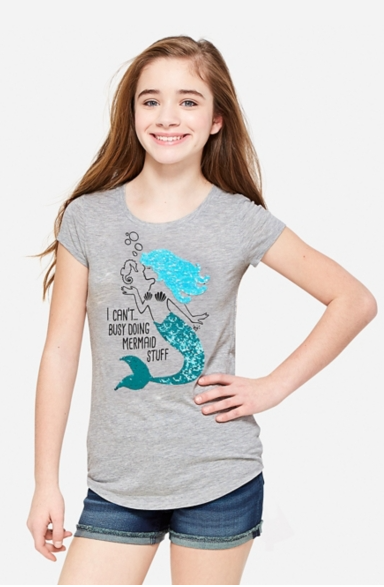 Mermaids love hanging out with their pod mates, so coordinate your awesome aquatic styles to make a group statement. Mothers and daughters look adorable in matching swim tails! 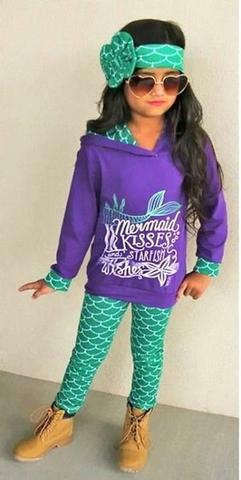 Mermaid apparel comes in lots of styles and sizes for adults and kids, so it’s easy to get everyone in on the fun. 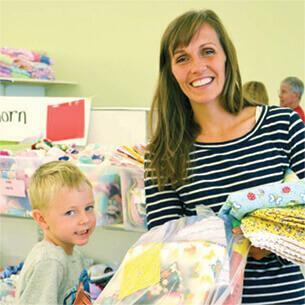 Special occasions like birthdays provide the perfect opportunity to take your fashion game up a notch. Follow the Kardashians’ example and throw a Titanic-sized mermaid-themed bash. It’ll be the perfect occasion to break out all your mermaid fashion finery! Would you dare to dye your hair in multicolored mermaid hues? 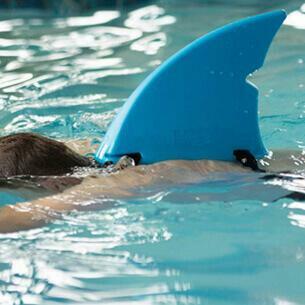 These trending color combinations are sure to make a splash wherever you sport your fin! Which look is your favorite? Tell us in the comments below! 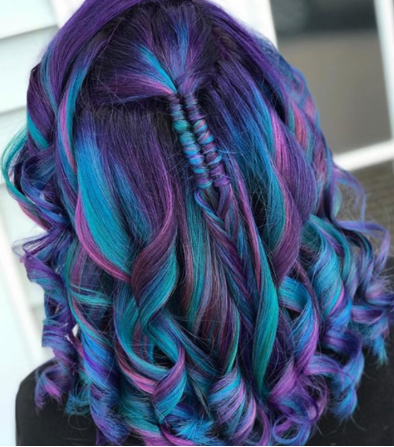 Check out Fin Fun’s Pinterest account to see more mermaid hair hues! 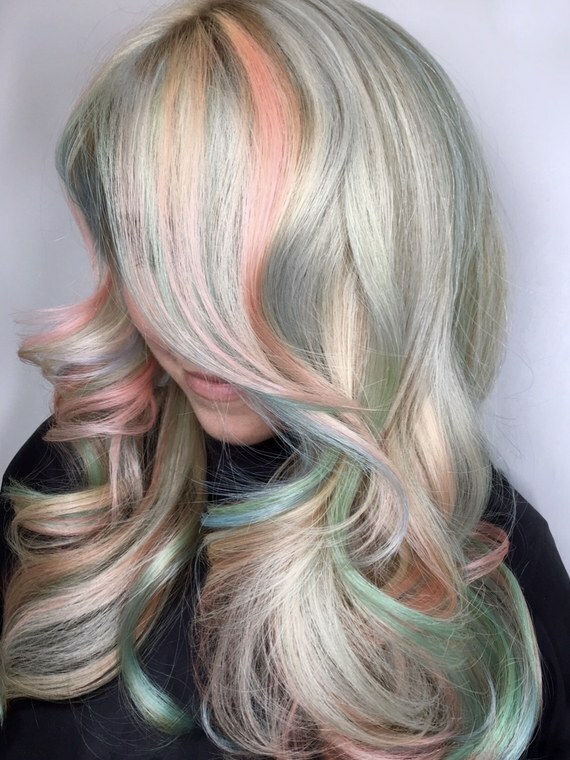 “Abalone Hair,” the new seashell-inspired hair color, is all the rage on Instagram. 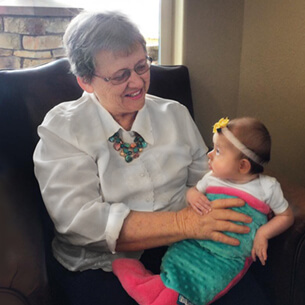 We love how it pairs with mermaid tails of any color, especially pastel styles. Gushing over these mermaid hair trends? Stay tuned for our next blog post where we’ll show you some of the most popular hair styles you can try at home before you head out for a day of mermaiding!